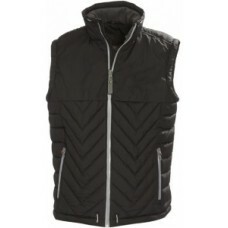 Water repellent unisex padded vest with water proof zippers, elastic drawstring at the bottom hem and top collar. Fleece in pocket bags and inside collar. Two zipped inner pockets, one with chrord opening.